Pest description and damage Alder aphids are pale yellow with dark brown cornicles and markings and are somewhat woolly. 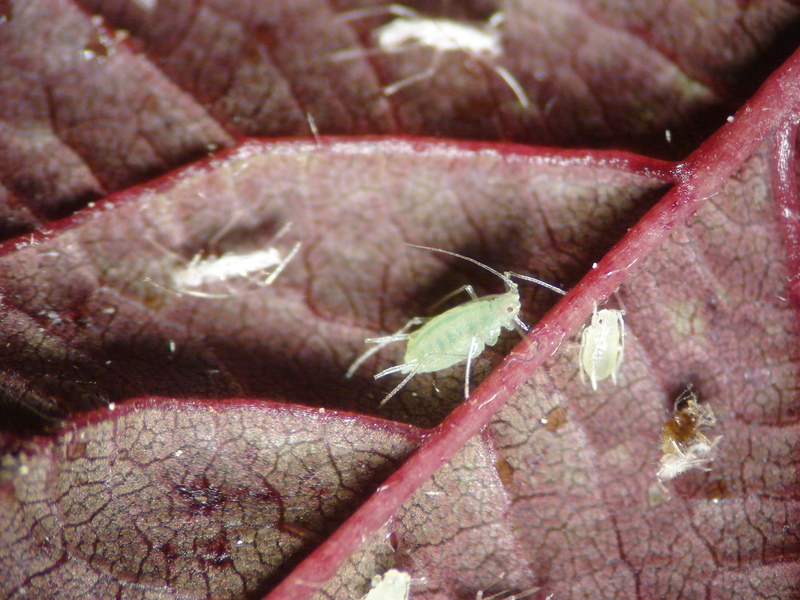 The nymphs of the hop aphid are pale yellow-green and may nearly cover the undersides of leaves. Feeding by the woolly alder aphid causes leaves to fold downward over blue-black aphids in masses covered by a woolly waxy material. 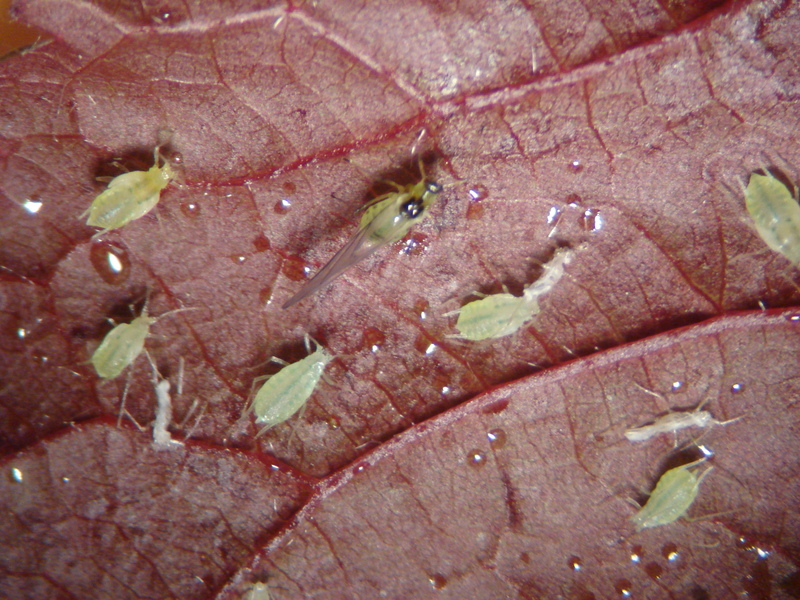 Each species has a portion of adults that develop wings to disperse to alternate seasonal hosts, although the alder aphid does not alternate hosts. Biology and life history The hop aphid is one of the aphids common on plum. They overwinter in the egg stage on plum, alder and other trees. In spring, they migrate to hops. The winged form of the woolly alder aphid (small orange females and blue-black males) migrates from alder to maple where they mate and lay eggs on the bark of maple. Simultaneously, a small wingless form crawls down the alder trunk to overwinter under leaf litter at the base of the tree. They crawl back up in spring or fly back to the alder from maple.